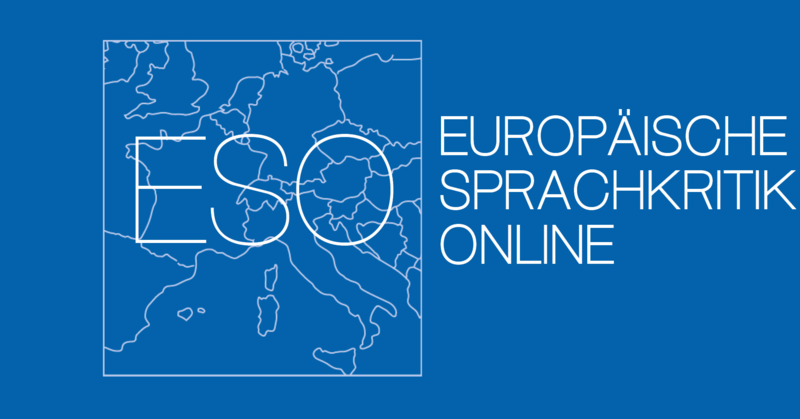 The project Europäische Sprachkritik Online (ESO), or “European language criticism online”, aims at documenting and comparing the current trends of subjective metalinguistic reflections in European languages in order to lay the foundation for a new academic field that will extend the German tradition of Sprachkritik to the European context. Language criticism becomes tangible and analysable in metalinguistic comments. The analysis of language criticism thus focuses on similarities and differences of identities in Europe, based on the premise that language reflects individual and collective ideologies as well as culture-specific behaviours. The project takes a European perspective, which is comparative in nature. The term “language criticism” is mainly embedded in German philology. However, critical language analysis is not restricted to German. We will therefore begin with examining language criticism in six different European languages, namely German, English, French, Italian, and Croatian (with Spanish additionally being discussed in two dissertation projects). The results will be displayed on this platform in a multilingual and multimodal fashion for a public interested in language matters. Readers will be offered insight into a broad spectrum of language reflection and language criticism across the included languages ranging from the past to the present. This will be accomplished via language-specific and contrastive linguistic articles. A European language criticism is to be developed on the basis of national language criticism by bringing together articles that take a critical stance on language-related topics both from language-specific as well as language-contrastive perspectives. The articles will be presented on an online platform and published in an online handbook. Academic as well as non-academic discourse about language-critical topics for all philologies that are part of the project will be systematically investigated. The correlations between language and identity, or languages and identities, are to be examined via differentiated analyses of relevant language-critical discourses. These are centered on terms, concepts, protagonists, institutions, texts and sources that have a key role in language criticism. A multilingual and multimodal online platform will be implemented on which research results can be shared with persons interested in questions regarding language-specific as well as language-contrastive language criticism. The online platform further serves to connect (inter)national experts (in a work area that cannot be accessed by the general public). It also encourages the exchange and sharing of current data and research findings between the project collaborators by creating a virtual research environment. The online handbook offers the possibility to publish the results according to academic standards. The project group includes national and international researchers. In addition, about fifteen young researchers at an early stage in their careers support the project. The intensive promotion of young researchers (who are, for instance, funded by state-supported scholarships) is an integral part of the project. Enhanced international networking and cooperation between outstanding researchers within Europe and beyond has been and will continue to be essential for this joint project. 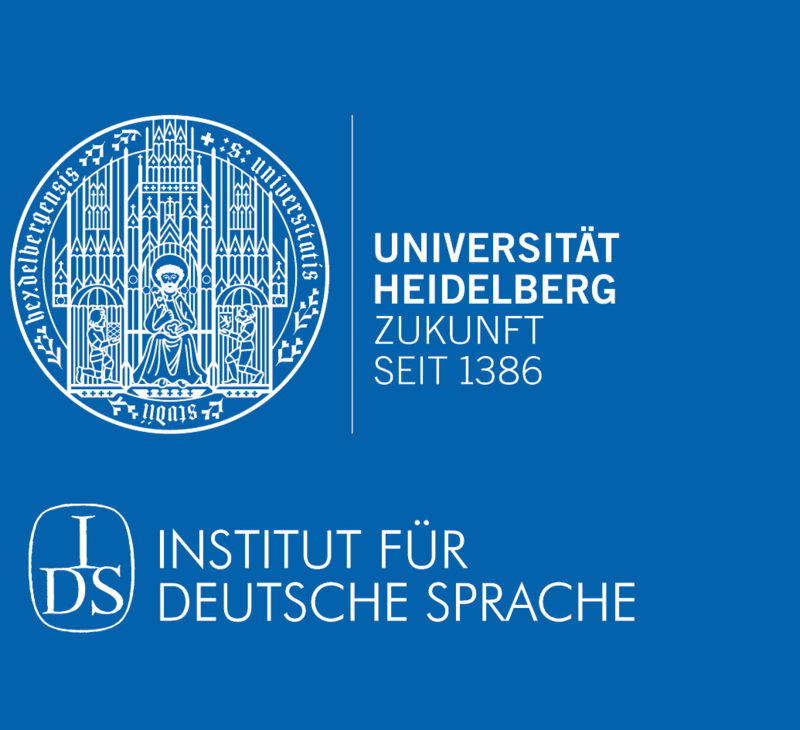 The method followed in this project may be outlined as follows: First, a list of key words on language criticism was compiled based on research on German language criticism. This list served as the basis and starting point for the other philologies participating in the project, who then collected key words on language criticism relevant for their own philology. At this stage, it was important that the compiled lists of English, Italian, French, and Croatian key words were not simply translations of the German key words, but that they adequately reflected the discourse about language criticism characteristic of their respective cultures. Whenever a language lacked a certain term that was well established in another, the key word was translated as a new coinage. It was then investigated whether native terms could be found for parts of the concept or meaning of this newly coined key word. These words were then also added to the list. In order to guarantee a certain degree of comparability between languages, more generic concepts (so-called meso-concepts), were defined. The lists of key words have now been extended through input from all five included languages and thus reflect the variety of language-critical expressions and concepts available cross-linguistically. Our goal is therefore to present a conceptual history of European language criticism to those topics of interest and relevance across Europe via the Online Handbook of Language Criticism – A European Perspective (HESO).